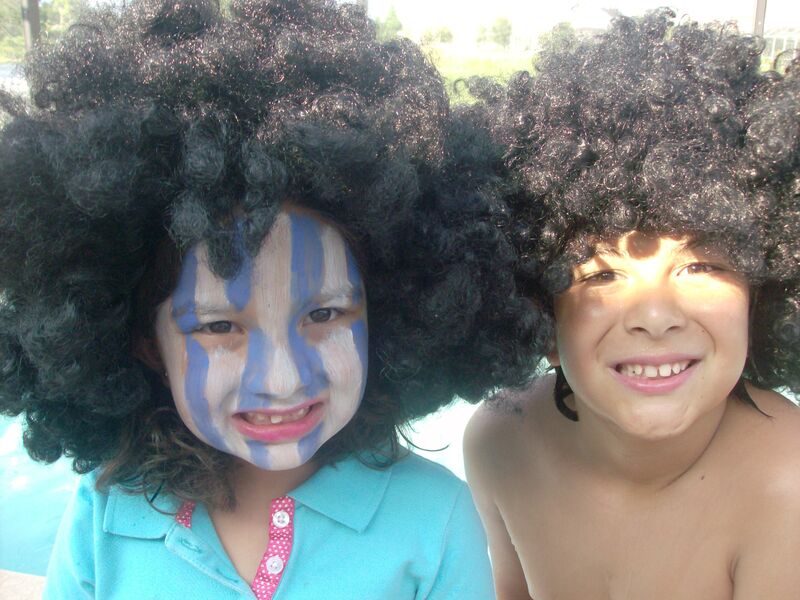 Make your children events and parties a fun learning celebration that matter! 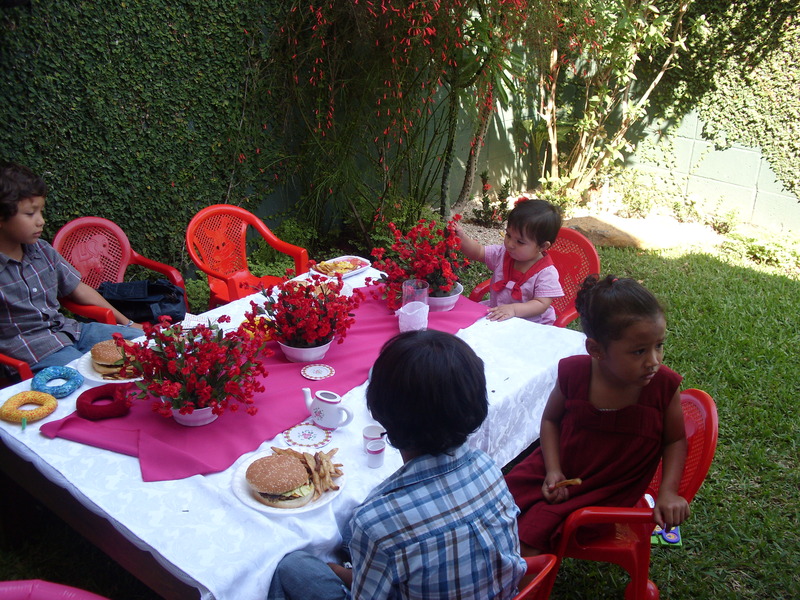 Kids will go home inspired and having learned certain values related to the theme of the party which are emphasized through play, music dance and creative crafts. Call 407-217-5440 and get more details. 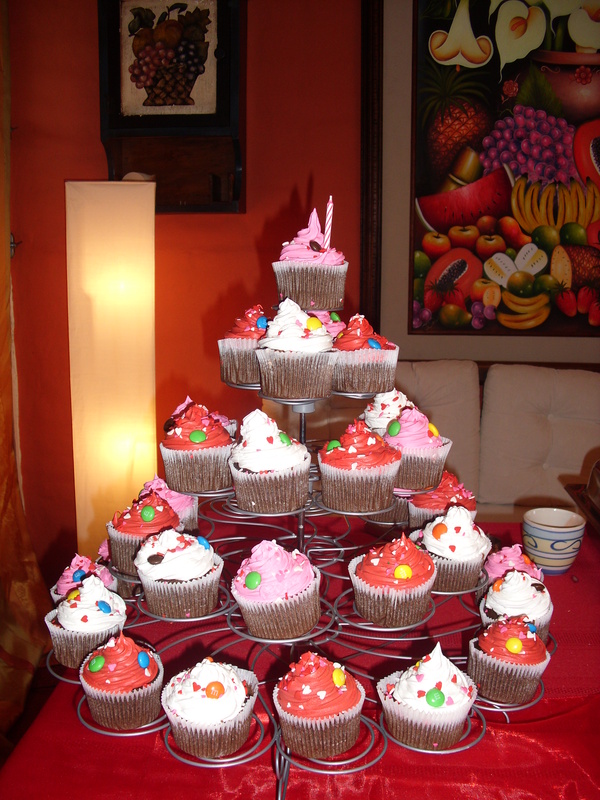 This is the very first party that we hosted. 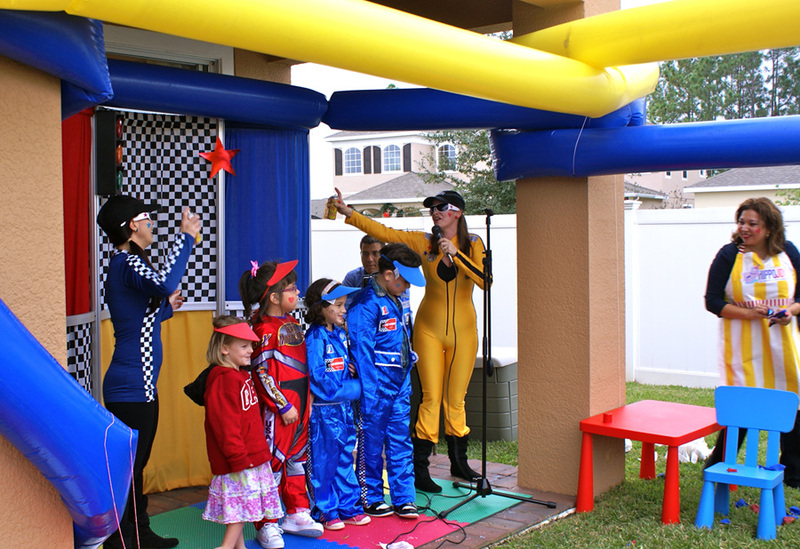 The theme was Racing Racers…. And its a Goooaaal!! or in Spanish, la mete y es un Goooooooooool!!! 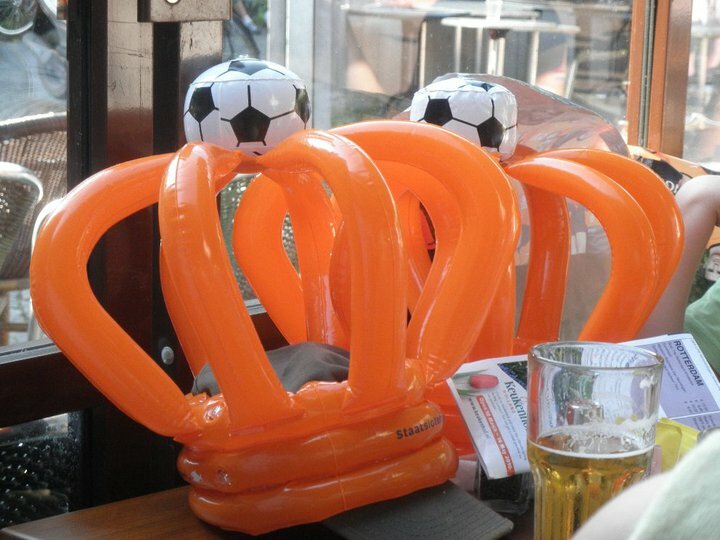 For the past month the world has been focused on the 2010 World Cup Tournament in South Africa. 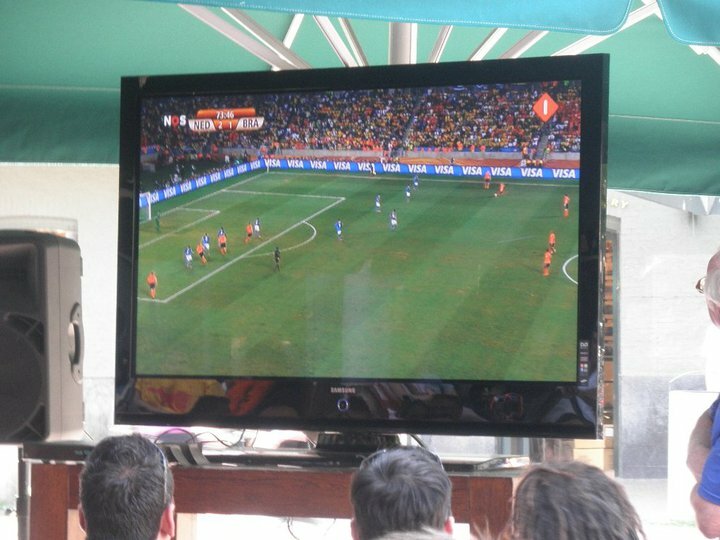 It is a great opportunity for friends to gather together and watch the game. Besides the excitement of the game itself it has been fun to watch fans from all over the world supporting their favorite team and dressed up so creatively and fun! South Africans welcomed football/soccer fans to their country to the first World Cup to be held on the continent and the sound of the vuvuzela horns has sure become a trademark of this 2010 event. On Sunday , the final game is here and it will be played between Spain and the Netherlands. No matter what team you will cheer for, this is a great time to have a fun with family, friends, and have a “World Cup Final Playoff Party” so here I post some ideas for you to prepare for Sunday! 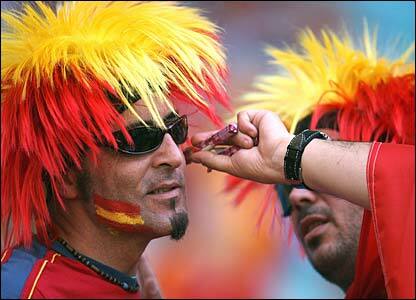 Ask your friends to come dressed up ready to cheer, it is really fun to have guys from opposite teams! Make a huge poster with rules against violence between both sides, make it funny and personalize it with the name of some of your guests. 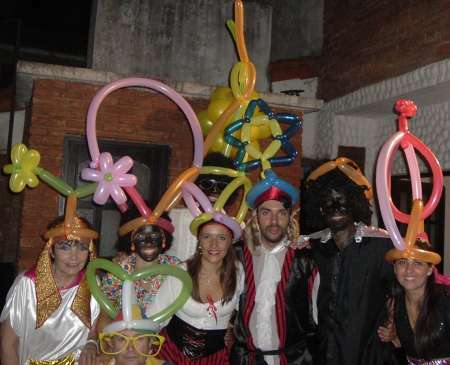 Fun Hats that cheer for Holland, for Spain you can have “torero fighter” , bull hats or fun red and yellow wigs like the ones shown above! If you are planning to have this party at home, because you want it to be a family gathering, make sure you have activities for adults and children alike. It is a great opportunity to teach children not only about the game but about where it is held also. 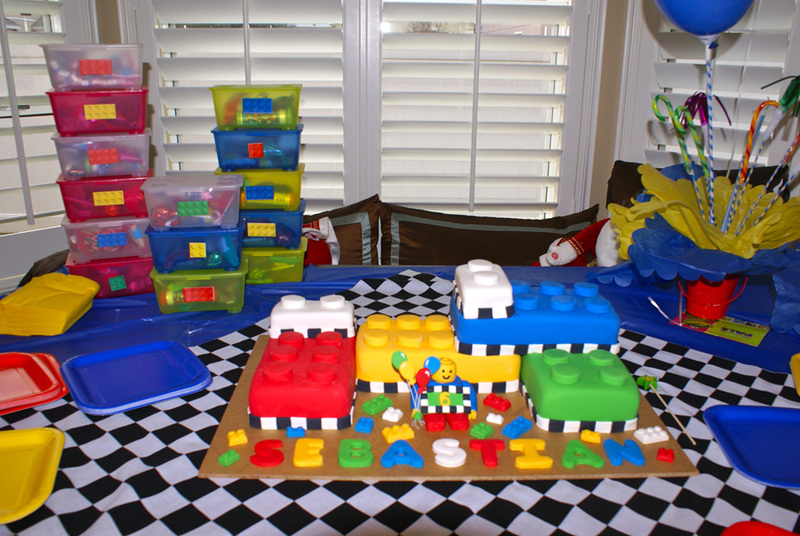 Ask your friends to come in early and before the party starts, make some fun entertaining games for children and explain that this will be their time, and when the game begins, they can either watch or play with the games you have chosen. If the kids are aware of the rules, it is more likely they will not interrupt. Some activities for the children: have costumes, bandanas, whistles, vuvuzelas, hats and wigs so they can get dressed to cheer for their favorite team, (it doesn’t matter if they have already been disqualified), have different pictures of the countries participating and also explain about the traditions from South Africa, it is amazing how much they learn with play! Lets talk Food! 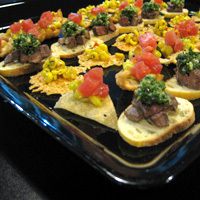 Finger food is perfect for this celebration. Have a variety of dips and food representing both sides. Spanish tapas and Hollandese hors d’oeuvres are a wonderful option. Hams and cheeses and mini servings of paella, chorizo (spanish sausage) and of course cold beer or wine. 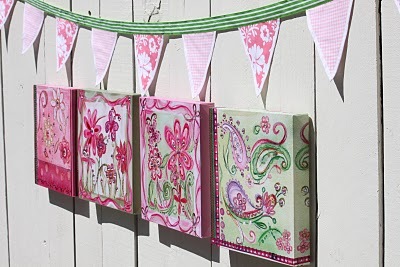 Put mini flags symbolizing where the food is from and do not forget to decorate the table. 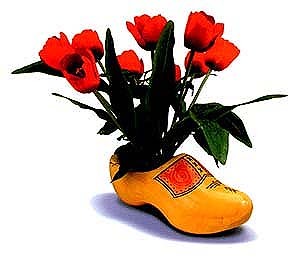 Take a look at this cute clog! And for dessert, I want to share this great idea that was sent to me by my dear friend Jaime, who is already preparing for his celebration of the grand finale of the World Cup. If you are familiarized with the soccer frenzy you have probably heard of Paul the octopus. This octopus has become a World Cup phenomenon after correctly predicting the winners of all six Germany’s matches. He predicts it by grabbing an oyster from a crystal box. 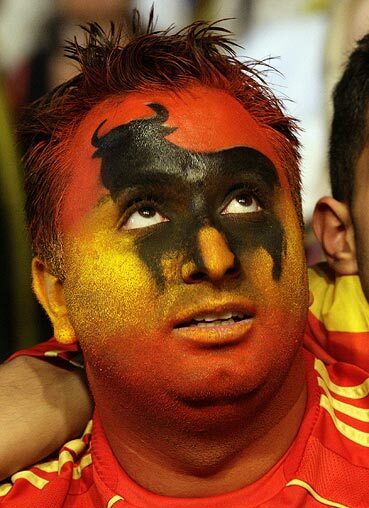 He has picked an oyster from the box with the Spanish flag so he thinks they will beat the Netherlands in Sunday’s final in Johannesburg, South Africa. We shall see. 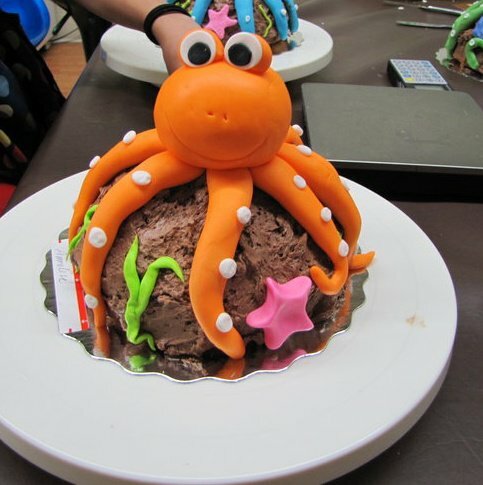 But going back to the dessert… It is a ball of chocolate ice cream and the octopus is sculpted in fondant. No one will be mad at this Paul…he is toooo cute! Ladies and gentleman, Boys and Girls please give a warm welcome to the Racey Racers…. These two characters are Car Racers and they host a fun game show that involves Team Effort! Team Effort means that you have to work together with your friends in order to achieve a common goal! I just love the faces of our happy kids when we explain to them what Team Effort means and when asked about their goals in life…For many six year olds their goal in life is to win the Racey Racers game show that day. Good to live in the moment, the racers explain about challenges and how it is good to have goals at school and in life too! 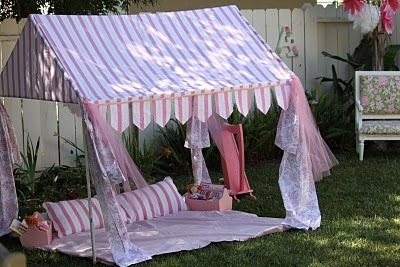 Decoration, Backdrop and setup can be included. 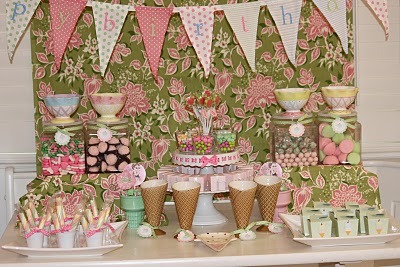 For this party, table cloths were solid red, blue and yellow and with a black and white checkers small cover on top. Plates were in solid colors like the table cloths. 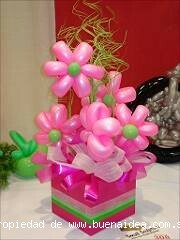 Centerpieces were red tin pales with balloons, tissue paper and candy canes. The goodie boxes were stackable and had lego toy stickers and assorted candy. The kids are divided into two teams: Red Team and Blue Team. 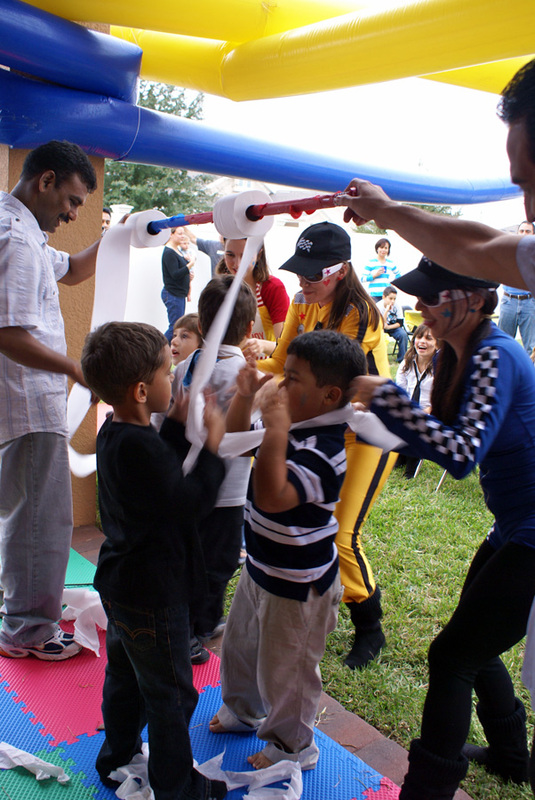 Some of the challenges involved obstacle racing, Lego Tower building, line dancing, funky car races with our specially designed cars, “ballooney kids”, Huge costumes that are filled by balloons, and, of course, a Nascar Style celebration with foam and bubbles! Roll paper mommies! 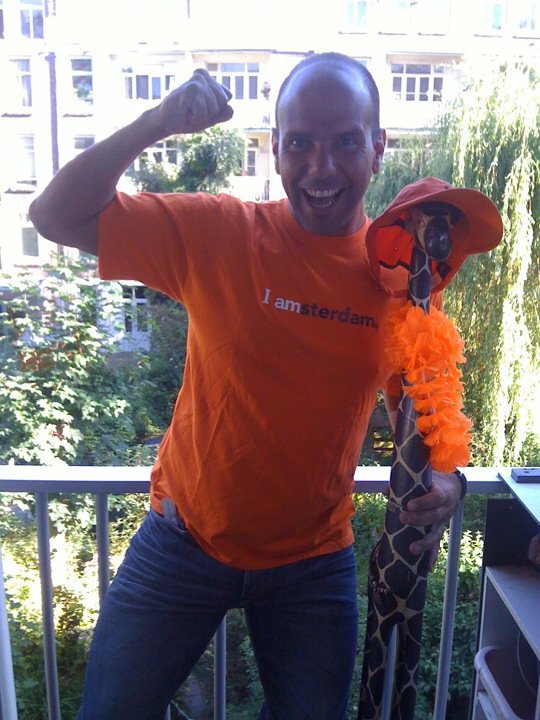 READY, STEADY, GO….GO, GO, GO!!!! 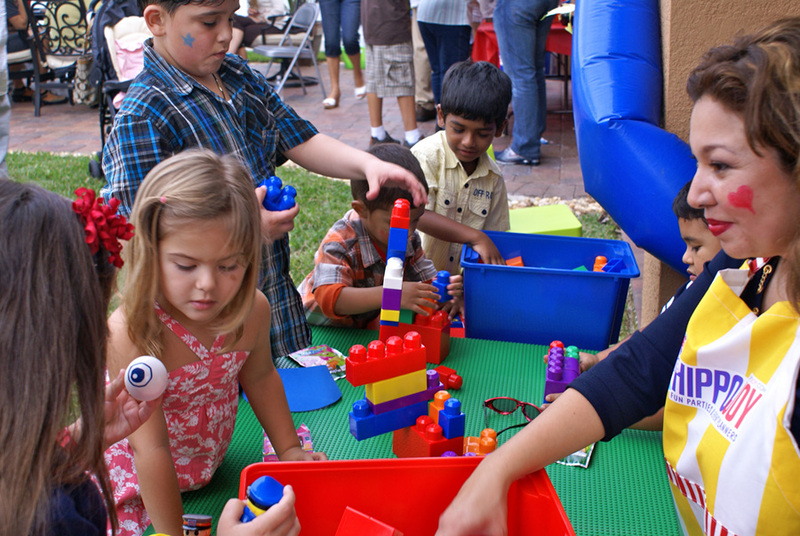 Assisting the kids at a Lego tower building activity! 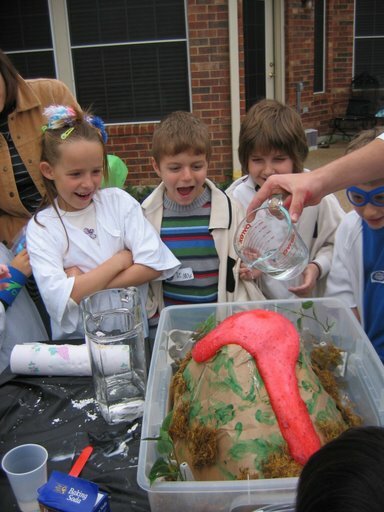 Science projects are always fun. On the video, my children learning about eruptions and volcano’s and the oldest is assisting to a Science Camp which has been tons of fun so I thought to myself… What if we have a nice Dr. / teacher help us at our parties, a funny assistant can join us too! And so Dr. Funzo was created. All your comments are highly appreciated! Dr. funzo sure knows how to make science fun. 1. Volcano explosion. Kids will watch at awe while Dr. Funzo explains how eruptions occur and then watch one really explosive one right there before their own eyes. 2. Color changing energy Beads. The kids will each create a bracelet using color changing beads. The experiment teaches kids about ultraviolet radiation and the care that needs to be taken to prevent the damage it may cause. Ultraviolet (UV) light is the invisible radiation that will give you a sunburn and injure your eyes if you’re not careful. It really convinces them that sunglasses and sunscreens are a must! 3. ALIEN WORMS. Let them explore the science of building polymers by cross-linking long chains of molecules. The process of making Instant Worms is faster and easier than the classic Slime recipe and it happens the very second the two liquids mix. Truly amazing! 4. SUPER GEYSER CABIN. We have a specially designed cabin which can fit up to six kids inside who will experience a super geyser explosion. Using the same volcano principle, kids go inside this gigantic cabin, wear safety goggles and a cape. This is tons of fun!! 5. OOOBLECK. Who is Dr. Seuss? Could he have been ahead of his time when he spoke about Oobleck? You will make your own oobleck today. 6. LAVA LAMP. How do they work. Make your own with Dr. Funzo. 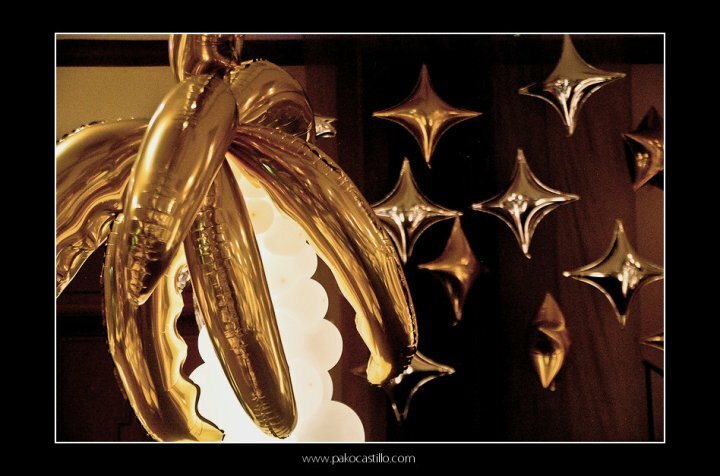 This time, the color pallette is black, silver and gold…Check out this pictures taken by Pako Castillo. On the ceiling, gold and black fabric. Choose between organza, our gossamer. Some say a first birthday party is really for parents and their guests and that your baby won’t even remember this party, and may even be overwhelmed by it. I agree with this but only partially because he/she will get to see the pictures later on in his or her life and even at one year old he and his guests can have fun. 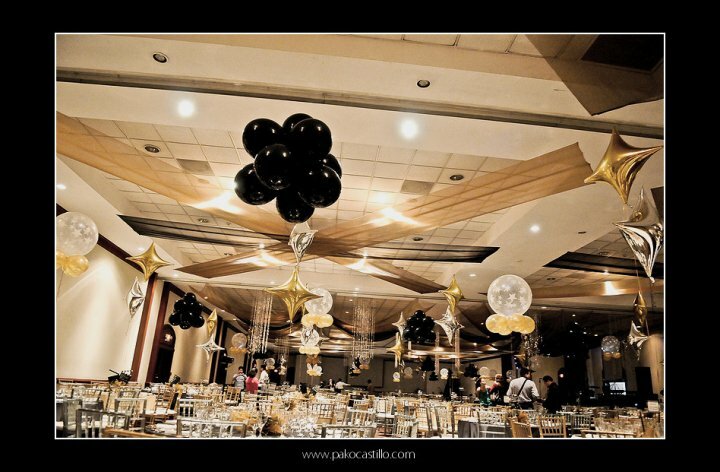 Nevertheless, there are some considerations you must have whether you’re planning an intimate gathering of friends and family or an all-out bash. Your 1-year-old may be fearful of strangers, and strange or new places. Despite liking other babies, she won’t understand how to play with them yet. She will enjoy individual attention most of the time. 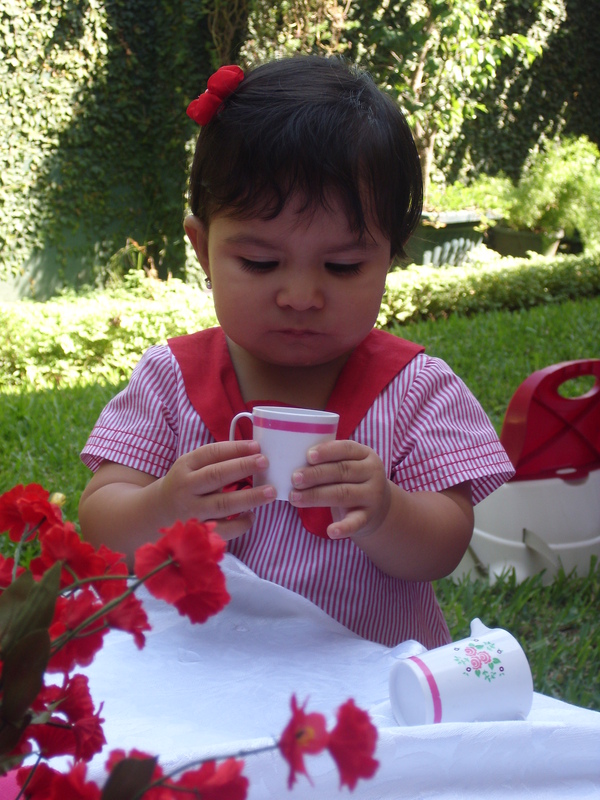 To avoid an overstimulated child, take small intimate breaks with him or her. It is definitely ok if the baby wants to be asleep for his/her party most of the time. 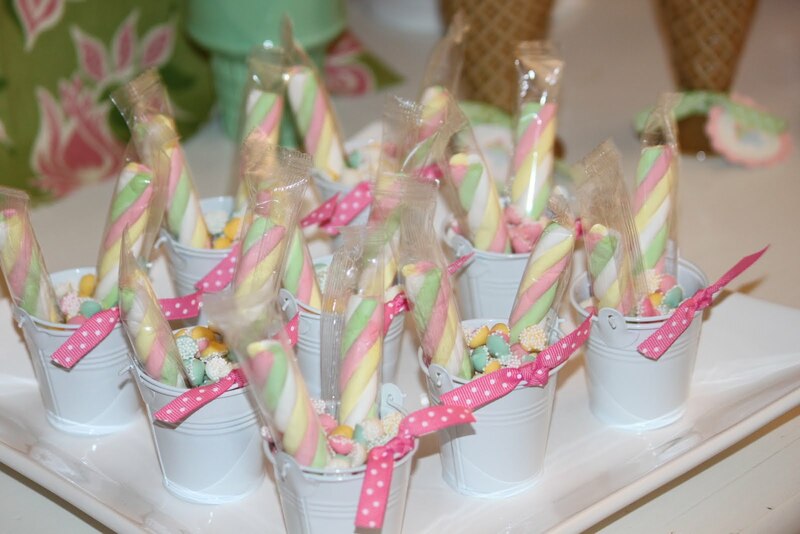 Entertain other young guests by having a set of activities age appropriate and that go with the theme of your party. Character Hosts are wonderful for this because they make fun games for a large crowd of well-wishers who can overstimulate your child and you need your hands and time free for your 1-year-old. Set a time, preferably when your child feels fresh to take pictures with the cake and guests. Do not push picture opportunity or singing happy birthday on a schedule, You can definitely alter the order at a 1-year-old party. 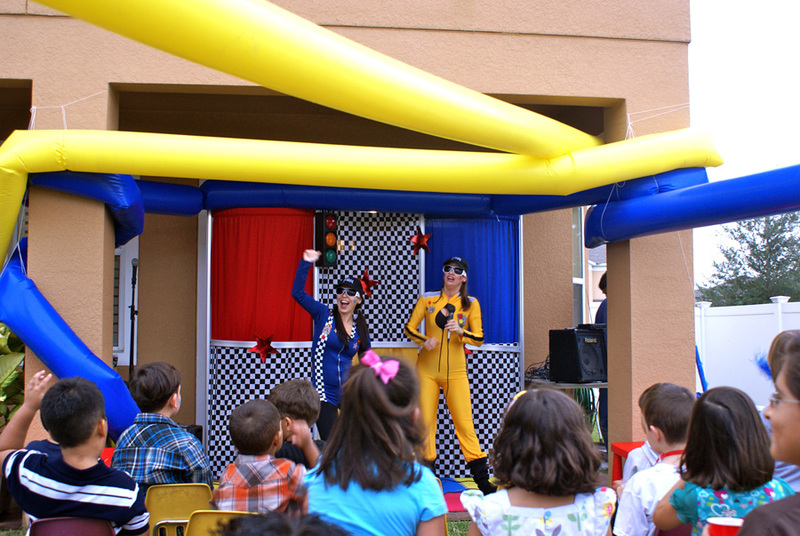 Let the character/host entertain the guests so you can give your child plently of time. Remember he/she is used to your undiluted attention and he might never have seen sooooo many people together at once. Time the event around the baby’s naptime or when he or she is more alert. 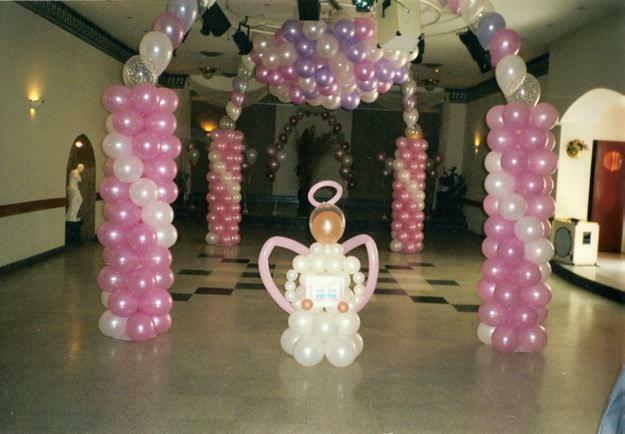 If your baby is a social butterfly, then a big bash could be a great way to celebrate. For baby’s who cling to mom, dad, and caregivers, limit the guest list to the baby’s favorites or those with whom he or she is most familiar. Consider where your baby typically has the best time. 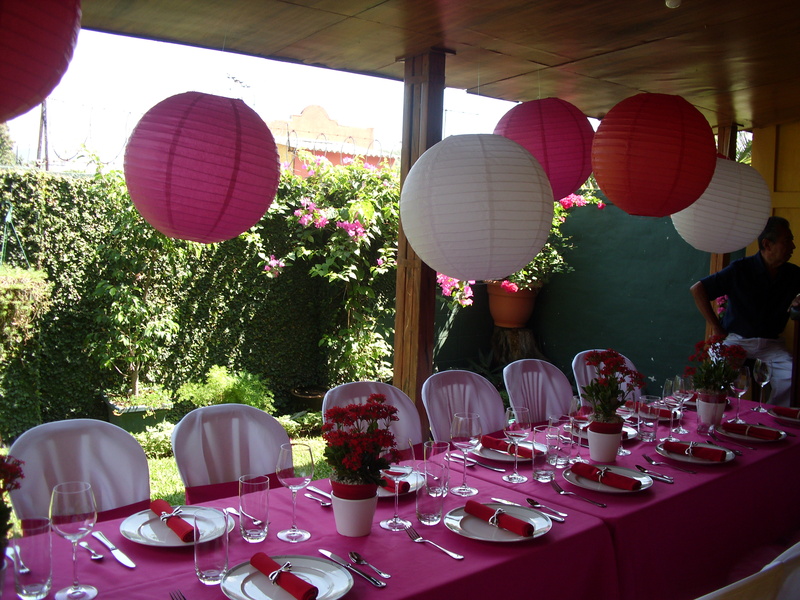 Most parents opt for a home party if space allows for it. Take lots of pictures! Practice with the camera, if necessary, to make sure that you are comfortable with exposures, lighting for the time of your party, technical details, or fun angles that will take your video and photographs to a pro level. OLD MACDONALD HAD A FARM…. 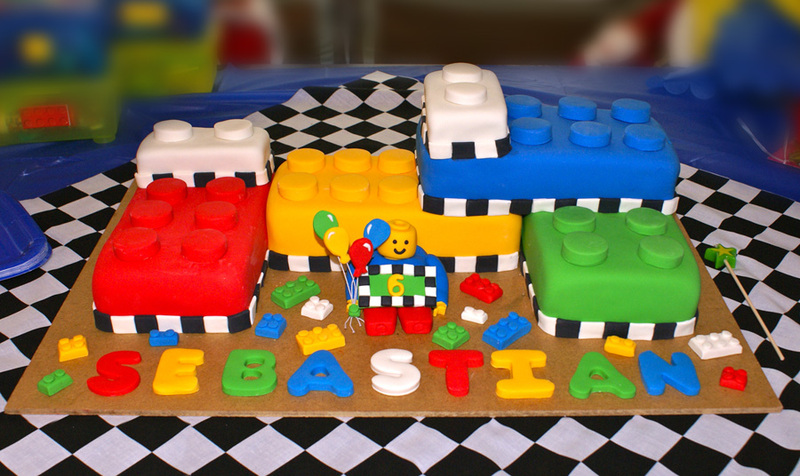 To book a first year old party, decoration, rental items and character hosts…. If your little one loves to dress up, wear your heals and walks the walk, a Fancy Nancy Party is the right choice for her. 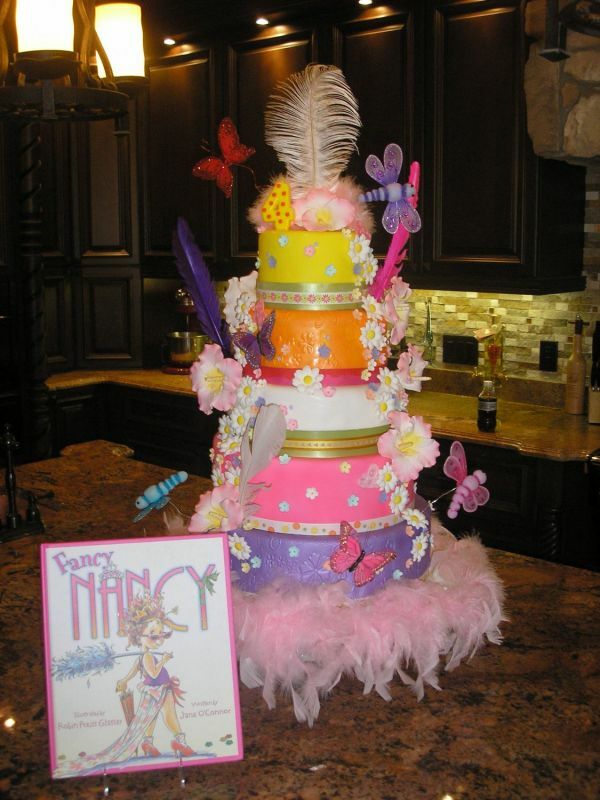 Written by Jane O’Connor, the Fancy Nancy book is a classic. 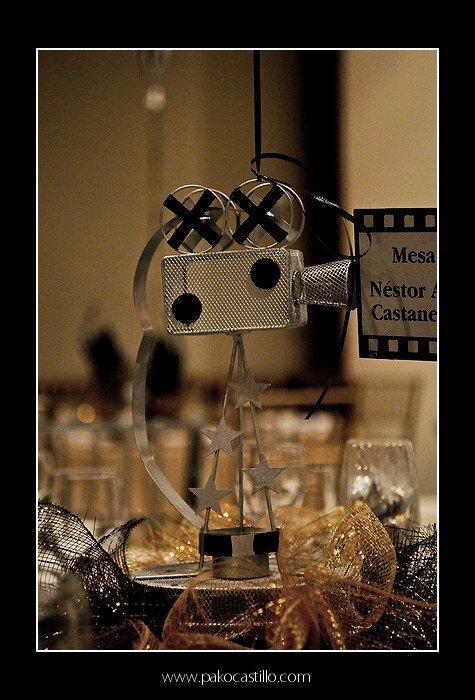 This beautiful setting created by CHS in California includes Eiffel tower and of course, lots of bling, bling! The pallette colors purple, pink and white following the book colors. For this Soiree, manner lessons would be a great activity together with make-up sessions, walk with a book on top of your head (they are specially designed so that they will not fall) and a Runway show at the end, red carpet and all! 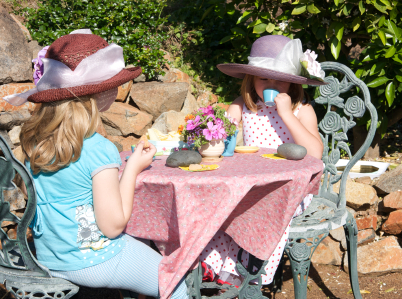 Another fun craft is “create your own hat” that girls could wear during tea time. 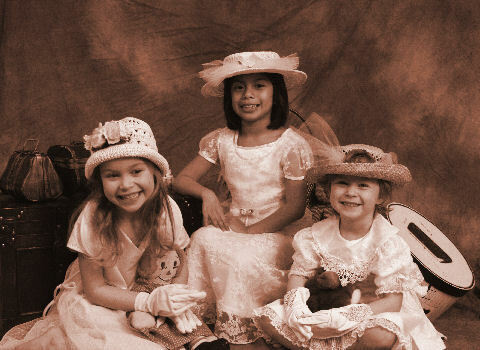 We are also planning on having beautiful picture opportunities with the party girl and friends, they could even be in sepia like the one shown bellow, true pieces of art that could be favors with the picture frame craft the girls had done at the party or thank you notes/keepers to be sent after the party. Other options for cake could be one in a form of a purse or sunglasses, Eiffel tower, or even zebra style black and white stripes. 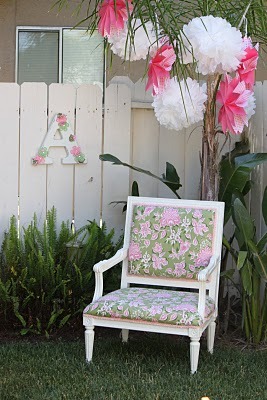 Decorate the table with pink boas and string of pearls. The above shown video has no sound and is not so well taken but I liked the color pallette and the welcoming rabbits. 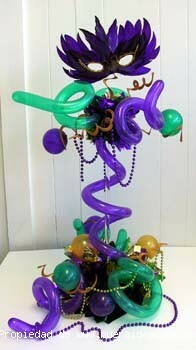 Balloon twisting is fun to do! We do it mostly for creating funky carnival hats like the ones shown at the picture above, but I have found on the web some really interesting pieces of art and creativity that I want to share with you. None of the decorations bellow were done by hippojoy, although some decorations we create ourselves, this is not our area of expertise. As party planners, we are always on the look for new and fun ways to decorate and find the best prices and alternatives for our clients. I have posted credits when available. Enjoy! The video shown above is from Inflaarte. I loved their style and creativity. 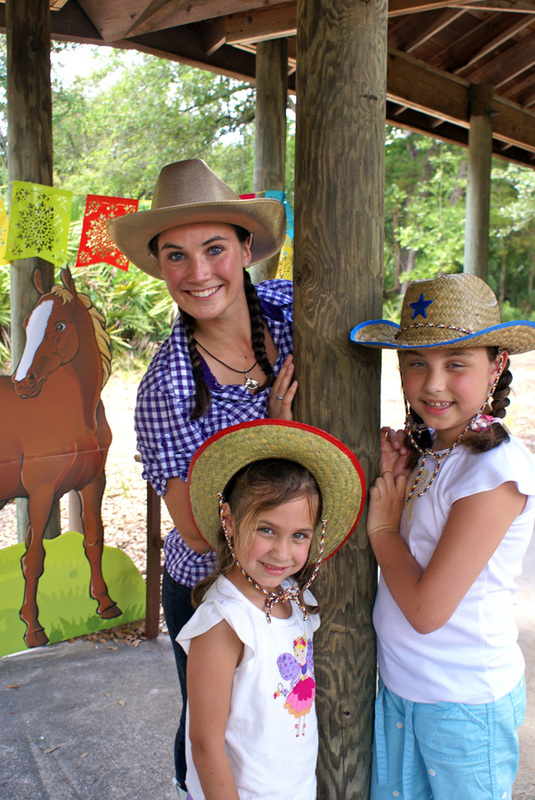 Cowboy and Cowgirl Party for kids! 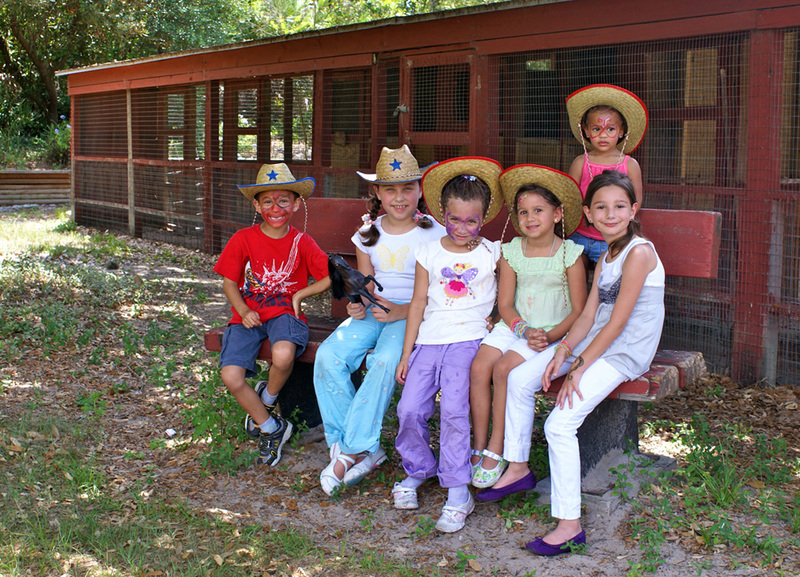 Pony rides or a Pet Farm for a Party? OHHHH YEAH!!! How cool is that? 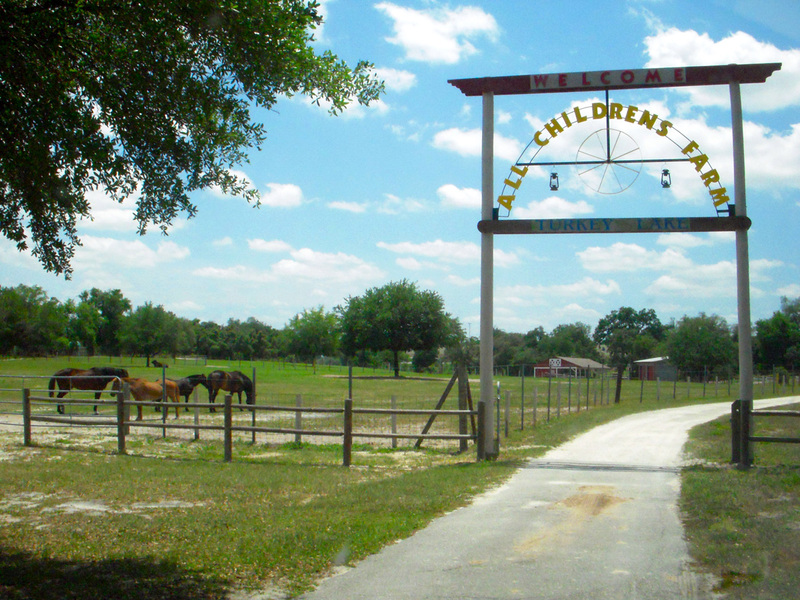 Pony rides, pet farms and petting zoos have enchanted children forever. If you are planning a day at the farm at home, why not bring a petting farm and give your guests a hands on experience. 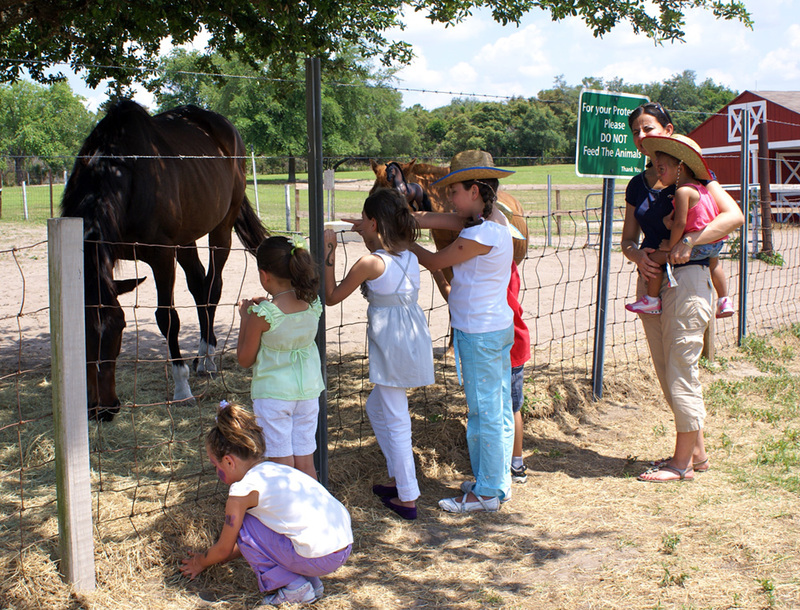 Our petting zoo experience include animals geared for all ages: chickens, ducks, donkey…We can also include pony rides if requested. If you plan to do it at a local park, remember some parks have restrictions on bringing in animals, give us a call first so we can recommend you different options. Cowgirl Sue having fun with Cowgirls Andrea and Alexandra…..
Cowgirl Sue is from Texas, she lives in a ranch called “Double Arrow Ranch” in West Texas. Her favorite activity is to ride horses and transport cattle from one side of the river to the ranch but she also loves square line dancing! She loves all horses but her favorite and best friend is Dynamite, she has a mini-replica of Dynamite. A legendary Indian Chief named Sitting Bull gave her a magical potion and it is said that Dynamite’s spirit will pass on to the replica so he never leaves Cowgirl Sue’s side. Back on Double Arrow Ranch, also lives “Diablo”, Back in the ranch no-one will ride Diablo because he is too wild! 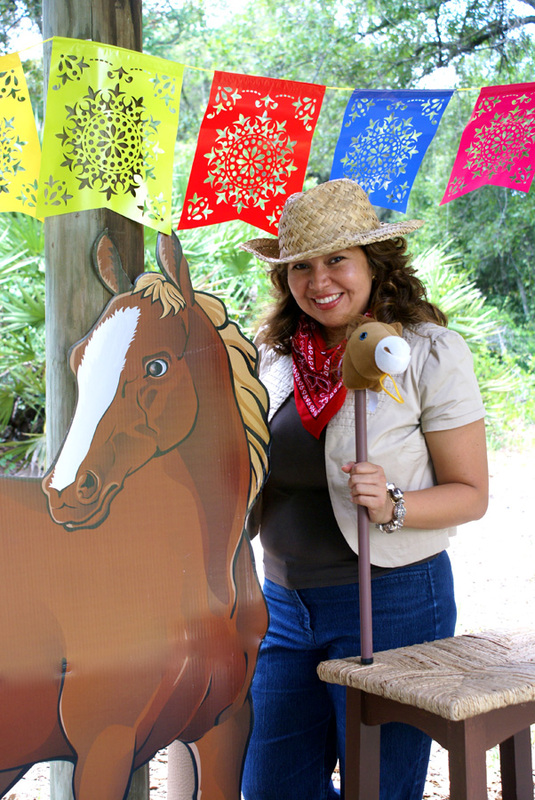 Some fun games with Cowgirl Sue include: Pass Diablo the Horse, Tug-o-war games, Sack Races, Round Up the Herd, Rope the Calf, and of course line dances. 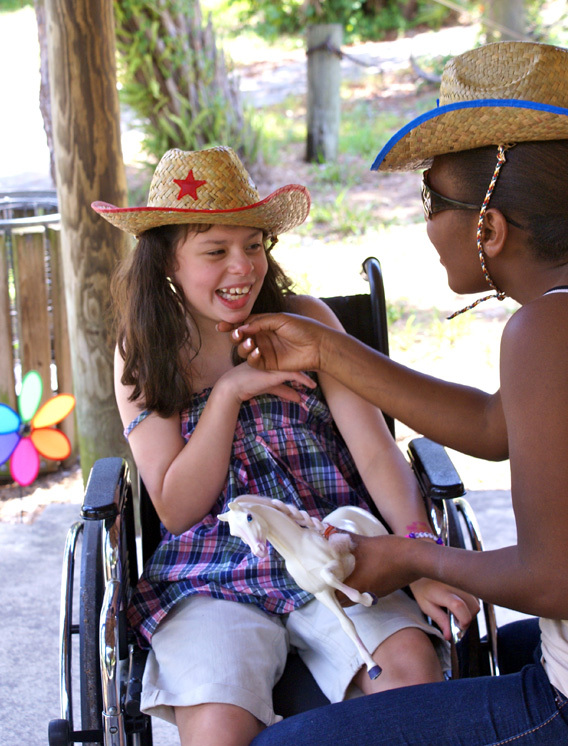 It is not necessary for you to have a pet farm or pony rides to have tons of fun at a Cowgirl/cowboy party. 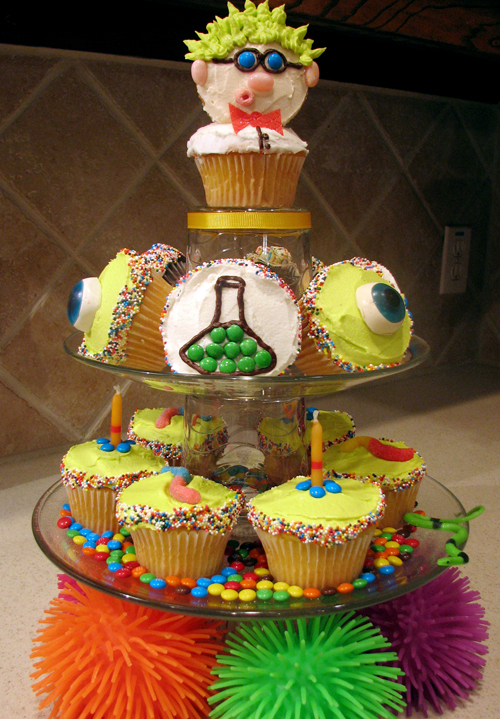 We can also work with a themed cowboy party like Woody from toy story. 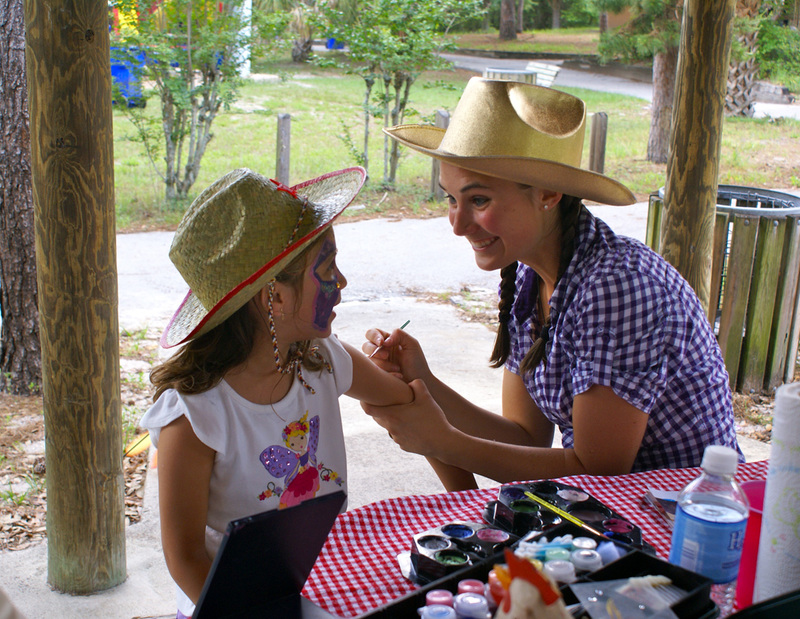 Cowgirl Sue will do Face Painting at your party also! There was really not much to decorate for this party other than our nice centerpieces, because the place had a children farm, but if you are having your party at home, do not worry, we will decorate it with hale bales, horse picture opportunity, inflatable cactus, barn doors, every detail so kids will feel in a barn house or at the wild, wild West!! This is me striking a pose before guests arrive. Check out this life-size picture opportunity horse! 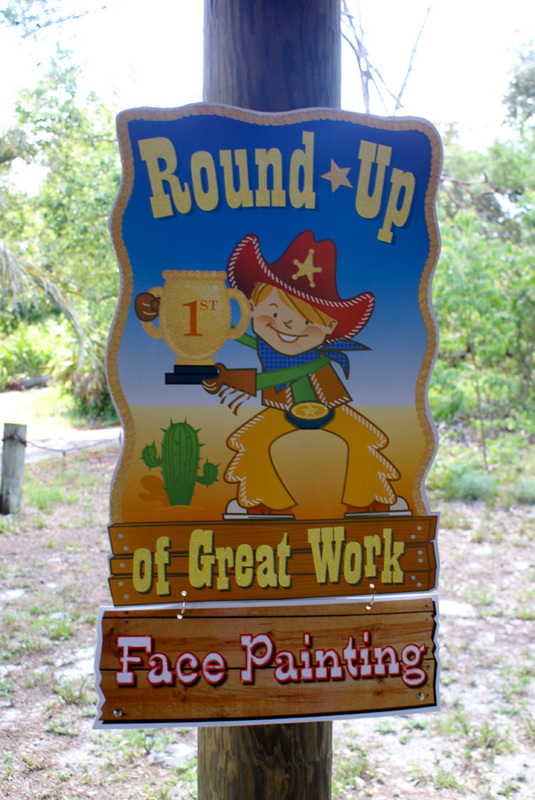 I will post our beautiful birthday gift bag ideas for this party, sacks, and prizes… Until then, yeeehah to all of you!